Fragment, a prismatic art wallpaper app that was introduced on iOS some time ago, is now available on Android. To say that this app is “awesome,” is probably not doing it justice. 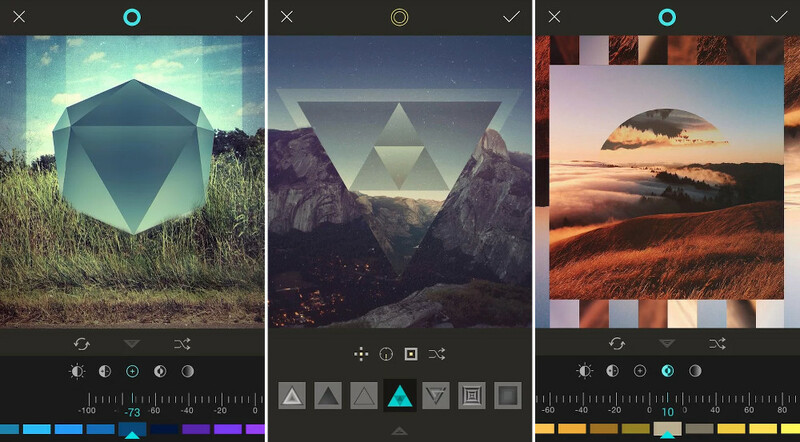 If you like wallpapers, custom ones at that, and prisms, you should probably grab this app. The app allows you to start with new photos taken from your camera, grab images currently stored on your device, or ask the app for inspiration before creating your own prismatic masterpieces. Once you have an image ready, the app’s all-inclusive set of editing tools are at your fingertips. There are over a dozen frames, shapes, and patterns to get you going, options for rotating/resizing/framing/dragging/zooming/etc., and even sliders that will let you adjust brightness, contrast, saturation and more. The possibilities for creating a new wallpaper are practically endless. If that all sounds like too much work, there is a shuffle button that will attempt to pair shapes and color adjustments for you on the fly. Tap it as many times as you would like until you find a combination that looks amazing. To get a feel for the app, check out the video included below. Then, show us your prismatic works of art.